Mental performance training is an under served area of athletic development. Developed by Team Canada Mental Performance Coach Kyle Paquette, and his MarbleLabs co-founders Jamie Collins and Adam Kingsbury, the Trainwave program is designed specifically for OVA coaches to develop better people and better performers in line with Canada's Long-Term Athlete Development (LTAD) model. Don't miss out on this amazing opportunity - purchase Trainwave Manuals for your club today and get started on the path to elite mental performance! Designed to be led by coaches, without the constant support of a mental coach, the manual contains over 40 activities to do individually or as a group. 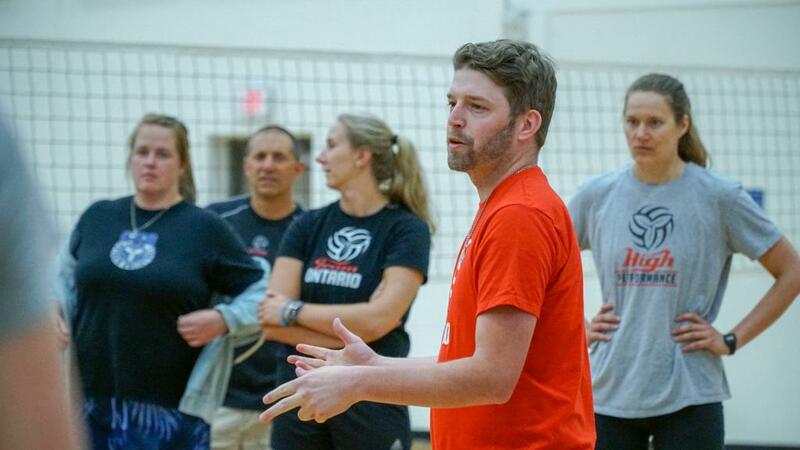 "[Trainwave helped] develop the tools [Team Canada] needed to accomplish our dream – the first time in 24 years that Canada’s Men’s Volleyball Team qualified for the Olympics. I am confident that within this book, you will find the tools you need to achieve your own dreams." Each book is sold for $25 and shipping is free on orders of 10 or more books. Special price can be arranged for large orders.